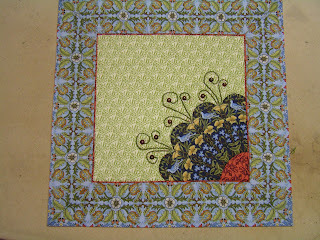 I will be teaching a Dresden Plate class at TN Quilts, Thursday, February 16th. We will start the class at 10am and stitch until 4pm. We will be using Marti Michell Perfect Patchwork Templates, The Dresden Plate Set. How's that for a mouthful! I used the shape for the 10 1/2" Dresden Plate. 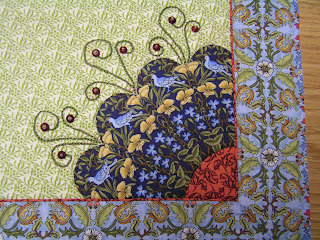 The pieces are sewn together by machine and then hand appliqued to the background. The pictured pillow top is for a 14" pillow form. 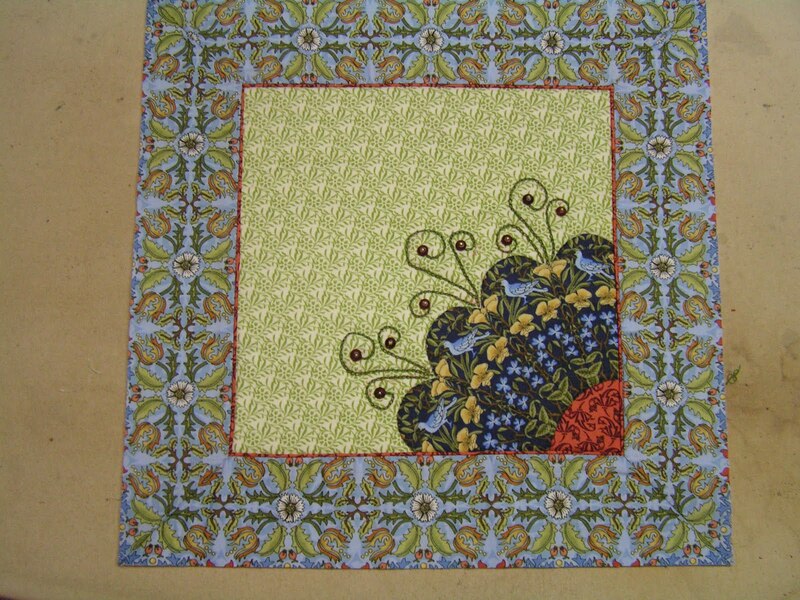 I will give the template for the embroidery design in class and the beads. Really nice! Love the fussy cut birds! Susan, this is beautiful! 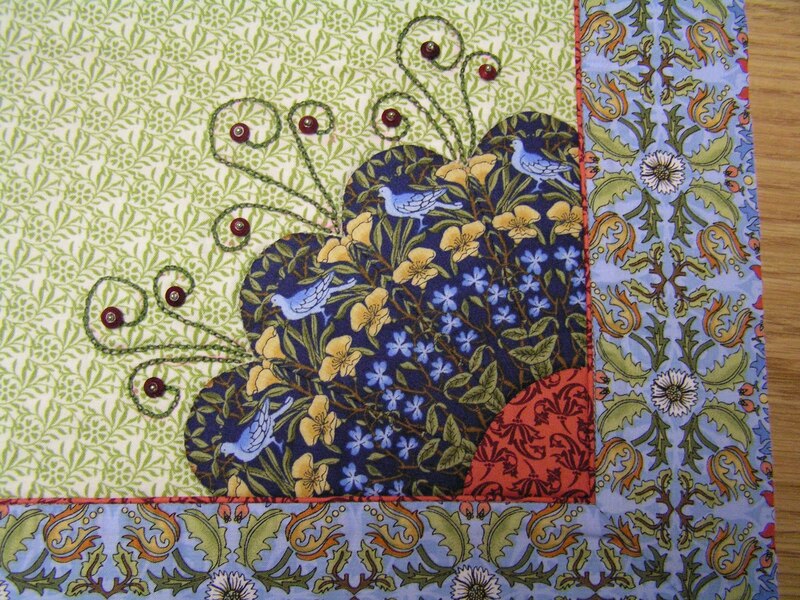 IF I were a quilter and IF I lived closer, I'd sure want to take this class.